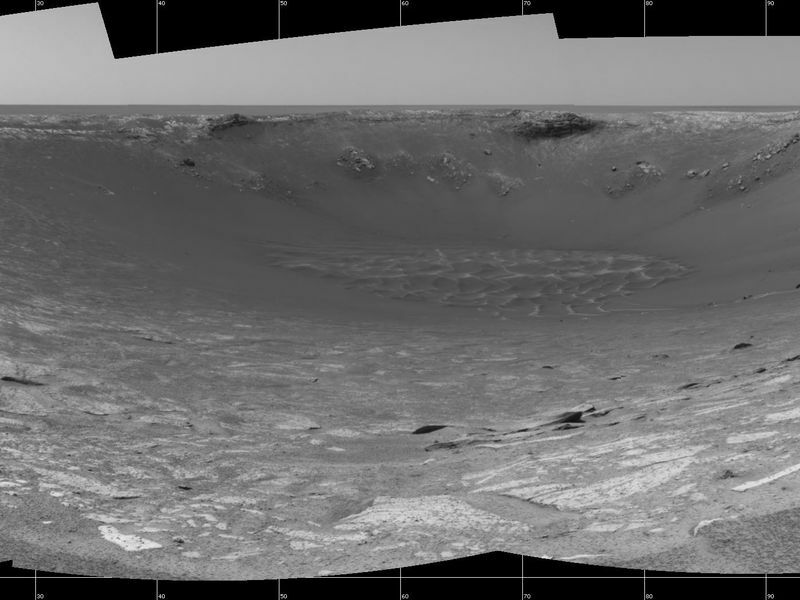 This cylindrical-projection view was created from navigation camera images that NASA's Mars Exploration Rover Opportunity acquired on sol 103 (May 8, 2004). 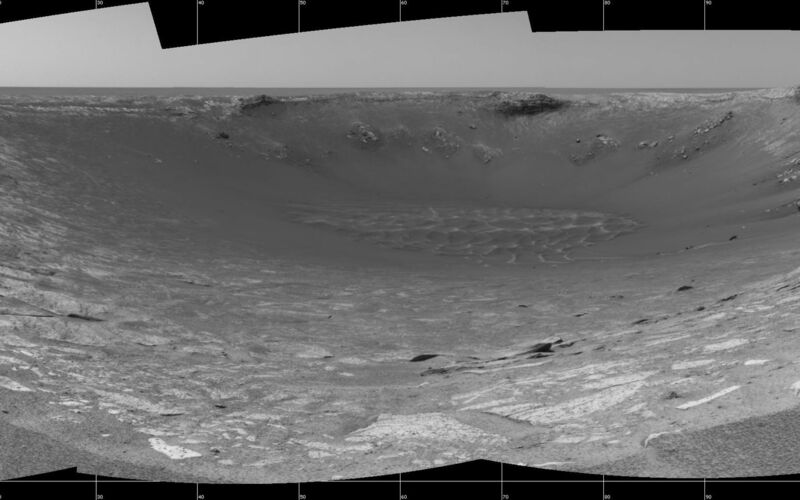 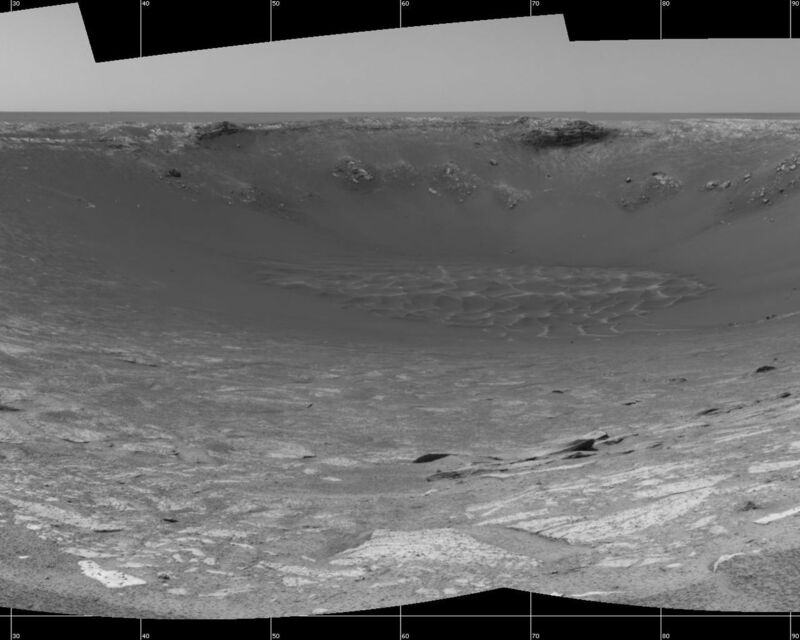 Opportunity traversed approximately 13 meters (about 43 feet) farther south along the eastern rim of "Endurance Crater" before reaching the beginning of the "Karatepe" area. Scientists believe this layered band of rock may be a good place to begin studying Endurance because it is less steep and more approachable than the rest of the crater's rocky outcrops.